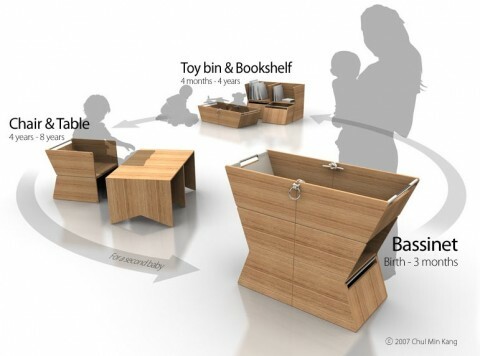 The YiAhnBassinet converts to a chair & table and a toy bin & bookshelf (!!!!) It’s stunningly beautiful, modular, and functional. This product actually makes me want to have another baby! That’s how excited I am about this! Crazy excited! A big hat tip to the designer Chul Min Kang.